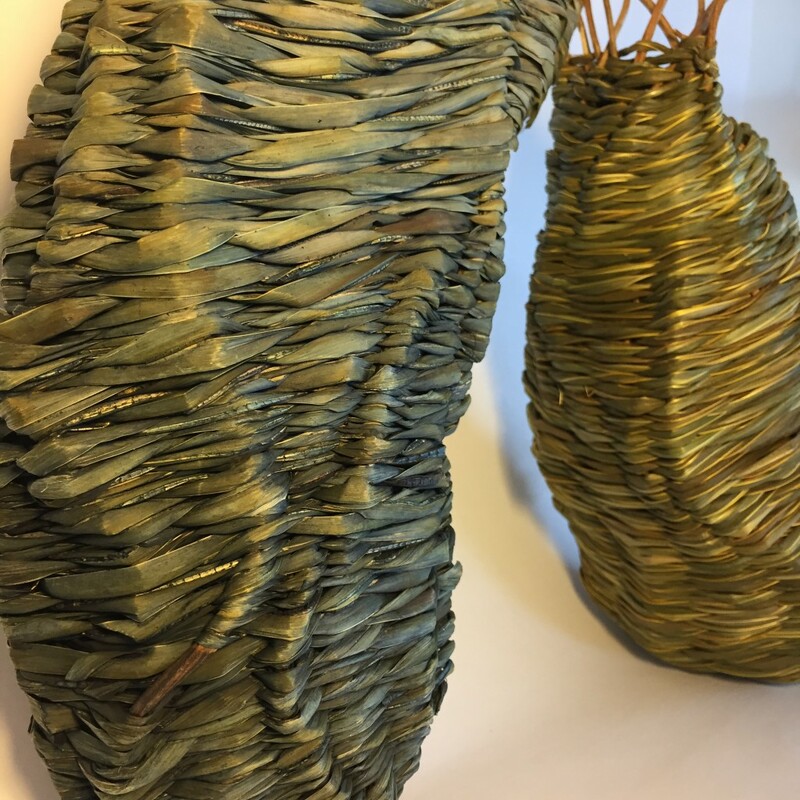 SOLD – Totems for the Trees explores our connection with nature and the juxtaposition of society’s current disconnection with it. The work calls upon those who walk the earth and the great trees reaching strongly to the earth in their roots and the heavens in their branches. They honour and worship the earth beneath our feet and the new growth that can emerge from it. Our ancestry is so closely connected to the earth and the vines, leaves and plants that grow from it. Yet even when we walk on the earth, we don’t sense it. So often our gaze is only on the iPhone in front of us and we miss the moments in time that nature gifts us; a beautiful sunset, the sun through the trees or leaf drifting by in the breeze. 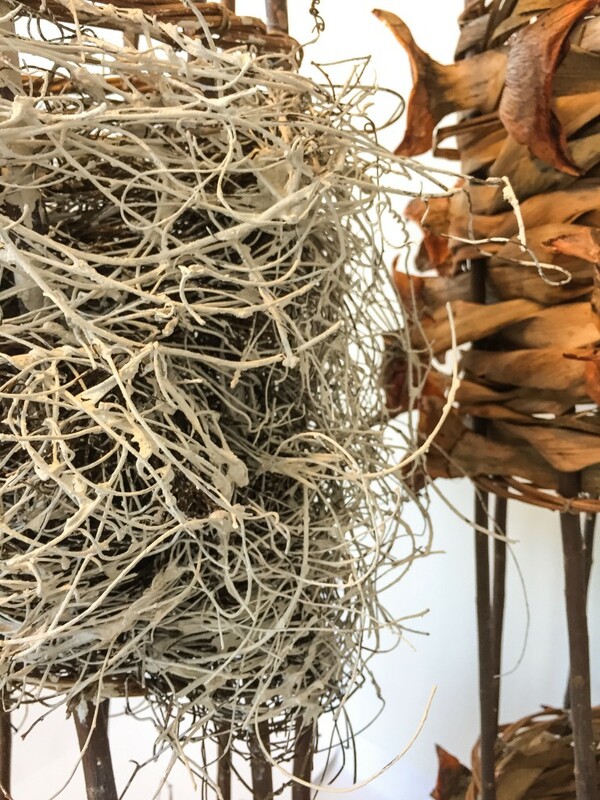 The layering of the organic material with clay and earth symbolises what we don’t see. That our eyes are masked to nature’s beauty. 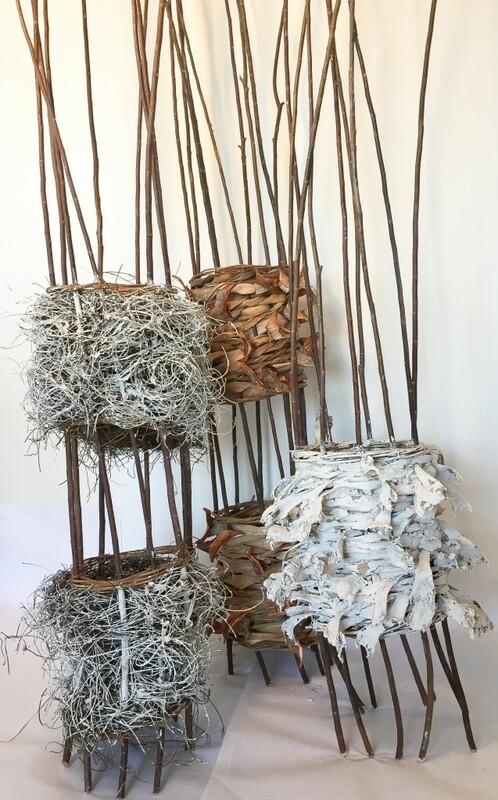 Catriona Pollard’s work is inspired by the connection and relationship we have with our environment and the beauty it shares with us. 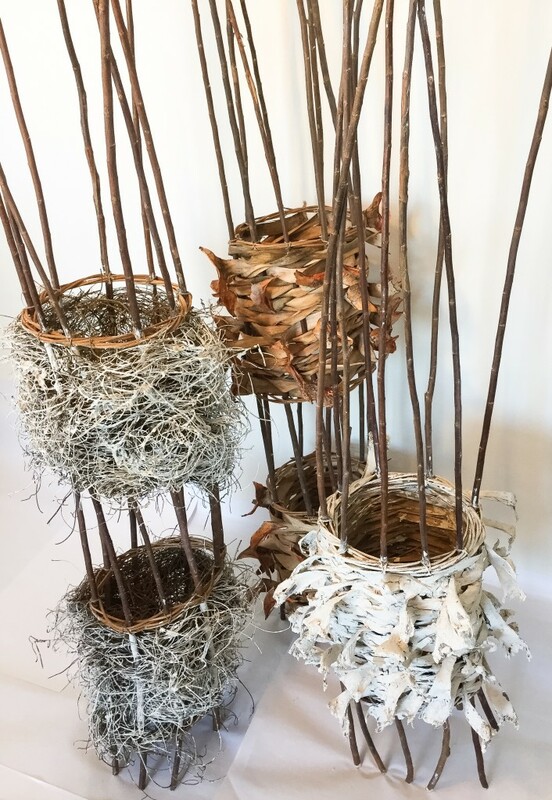 As a sculptural basketry artist, she is gifted with the ability to see the extraordinary in the ordinary.